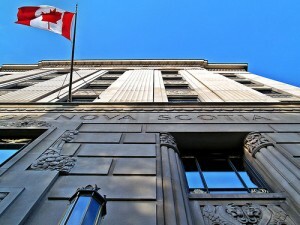 Nova Scotia uses the Canadian currency. The American Dollar is also widely accepted in shops and gas stations throughout the province, although often at a lower rate than you’d get from the bank or a hotel exchange desk. There’s no problem to exchange major currencies like the American Dollar or the Euro for Canadian Dollars at banks. You can also withdraw Canadian money from a bank machine or ATM with your card, provided it uses the same networks as Canadian banks do. The Plus and Cirrus networks are common. There might be a service charge of around $2 for each withdrawal so it’s a good idea to take enough money out for a few days or a week. Credit cards like Visa and Mastercard are widely accepted. Sometimes it’s possible to use American Express but you shouldn’t rely on it. Almost everything you buy in Nova Scotia will be taxed and this is usually added on to the price shown on the tag. The Harmonized Sales Tax or HST is 13%. It’s a combination of provincial and national taxes, thus the name harmonized.